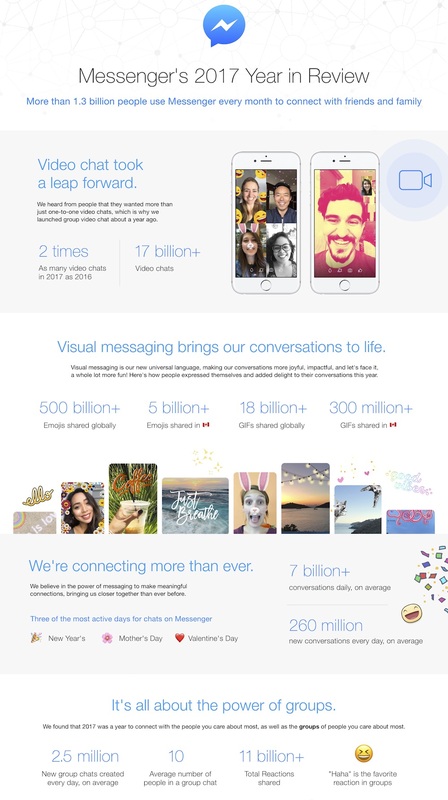 Facebook Messenger has today released its Year in Review report for 2017, highlighting the trends and insights into how people connected and shared with each. The year saw a 2x increase in the number of video chats from 2016, making it the “year of the video chat” with 17 billion video chats taking place on Messenger in 2017, including one that took place in Antarctica. “At Messenger, we know that every message matters and we’re focused on helping people say what they want to say, however they want to say it. Through GIFs, videos, group conversations or group video chats, Messenger gives people the freedom to connect in the way that is most relevant to them — expressive, humorous, visual, heartfelt or simply convenient. 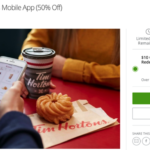 In Canada alone, Messenger users shared more than 5 billion emojis and more than 300 million GIFs during the year, with New Year’s, Mother’s Day and Valentine’s Day being three of the five most popular days to message in 2017. On average, 260 million new threads between people were started every day, while 2.5 million new groups were created on Messenger every day. The most popular custom emoji in group chats is the red heart, while the most popular custom text color in group chats is red. In 2017, the average number of people in group chat is 10. Since launching in March, people shared more than 11 billion Messenger reactions. The most popular reaction in 1:1 conversations is “love”. However, the most popular reaction in group conversations is “Haha”. People in the US shared more than 35 billion emojis in 2017. People in the US shared more than 3 billion GIFs in 2017. People in Canada shared more than 300 million GIFs in 2017. Check out the following infographic spotlighting the top Messenger trends in 2017.